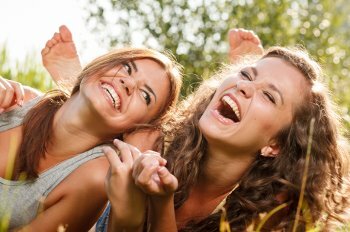 Palm Harbor cosmetic dentistry offers multiple procedures for improving smiles. 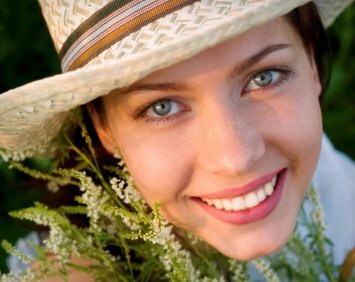 Two of the most popular procedures in the Trinity area are dental crowns and porcelain veneers. A dental crown covers the entire portion of the tooth that is above the gumline. A veneer is a wafer-thin, covering for just the front of a tooth. Veneers are made with several layers of ceramic laminate. Crowns can be made of all porcelain (ceramic), porcelain fused to metal, or gold. Both crowns and veneers are cemented in place. Crowns and veneers are durable and can last many years, though they are not stronger than natural enamel. Both of these procedures improve the tooth aesthetically, but porcelain crowns are usually a better solution for a tooth that has been compromised by decay, damage, or a root canal. Veneers can perfect the shape of a tooth, repair a minor crack, cover stains, or straighten the appearance of teeth that are slightly misaligned. It takes a team of experienced Florida dental professionals to create durable, natural-looking and perfectly functioning crowns and veneers. Your Trinity cosmetic dentist must prep the tooth, create a precision mold, and communicate to the lab technician exactly what is needed. 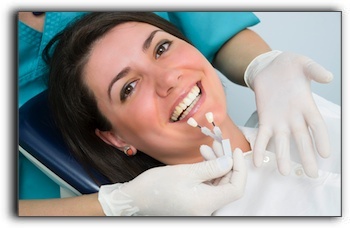 The role of the Palm Harbor dental lab technician is equally important. He/she must meet the precise standards necessary for successful restorations: the perfect shape, the perfect size, color that blends seamlessly with surrounding teeth, and the proper placement in the mouth. The team at Prestige Dentistry provides the highest quality cosmetic dental services and restorations. I am Prestige Dentistry of Prestige Dentistry. If you would like more information about crowns, veneers, and additional cosmetic dental procedures, I invite you to come in for a no-pressure cosmetic dental consultation. I can help you achieve a smile that is both healthy and remarkable.